29.2.2016: Chief minister of Odhisha, Naveen Patnaik is elected as the president of Biju Janata Dal. This is the 7th consecutive term for the chief minister. He was the only candidate to file nomination for the post. His election was announced by Pratap Keshari Deb, the returning officer. The poll process of the party was completed in five phases. 29.1.2016: Indian Civil Accounts Service is celebrating its fortieth anniversary on March 1st. 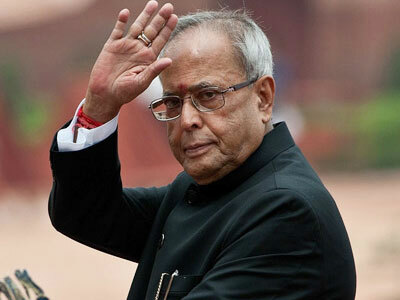 president of India Pranab Mukherjee will be the chief guest at the celebrations, it is said. 29.2.2016: Dinesh Sharma is elected the new chairperson of Governing Council of IFAD. He is presently served as the additional finance secretary at economic affairs department and is also the India’s governor to IFAD. The Governing Council of International Fund for Agriculture Development elected him in Italy. He will be in this post for two years. India is a founder member of this organization. Governing Council of IFAD consists of 176 member countries. 29.2.2016: Vinod Rai who earlier served as the comptroller and auditor general is appointed as the chairman of Banks Board Bureau. He was the CAG from 2008 to 2013 and is the first chairman for newly set up BBB. Others on the board are Anil K Khandelwal, H N Sinor and Rupa Kudwa. 29.2.2016: Sound designer Resul Pookutty won the Golden Reel Award for Best Sound for Documentary India’s daughter. He is the first Asian to win the ward. Other documentaries in the competition were Beware Baltimore, The Undrafted, Fury Road, The Revenant and others. Resul Pookutty began his career in 1997 with Private Detective: Two Plus Two Plus One. He was the sound designer for lack which brought him laurels. Golden Reel Awards are given each year in various areas of sound editing. This entry was posted in Current Affairs, News on March 1, 2016 by Rakesh.